This is the first post in the Life Course CRN blog exchange series developed in conjunction with the Anthropology of Children and Youth Interest Group of AAA. A complete list of published exchanges in the series is available here. Follow this link to the corresponding post on “Producing Difference” by AAGE member Jason Danely. “Childhood is a variable of social analysis. It can never be entirely divorced from other variables such as class, gender, or ethnicity.” (Prout and James 1997:9). Prout and James’ account of what they called a new sociology of childhood has become a central paradigm for the growing interdisciplinary field of childhood studies. Given the popularity of the model, it is curious that (as far as I know) people have not pointed out the flaw in their approach. Childhood, a stage of life, is not analytically similar to class, gender, or ethnicity. Rather, the correct comparison to overarching categories such as class, gender, or ethnicity would be another overarching category: age. But like Prout and James (or perhaps because of them), modern cultural and linguistic anthropology tends to erase age in favor of the study of specific life stages: childhood, youth, adulthood, and old age. The American Anthropological Association has interest groups for the study of childhood and youth as well as the elderly but not for the study of age and the life course as a whole. Similarly, within anthropology there are series and journals on either childhood or old age but again not on the life course. When people use the words “age” or “aging” they tend to be talking about the elderly as opposed to thinking about age like gender—as something relevant to everyone. Moving to larger analyses of age and the life course would change the study not only of childhood but also anthropology. For example, consider something central to both fields: agency. Another main theme of childhood studies is that children actively shape both society and themselves. But most of the many recent studies that analyze children’s agency fall into the same trap as early analyses of women’s agency—they assume that children are the same types of agents as adults (e.g., Markström and Halldén 2009; Porter 1996). Such an approach 1) assumes universal definitions of agency as either resistance or independent action, which gender scholars have already shown to be faulty (Mahmood 2005; Wardlow 2006); 2) overlooks the possibility that over the life course people move through different types of subject positions. Rather than simply noting that like adults children also have agency, childhood scholars need to analyze what is unique about children’s agency. If we do so, I suspect that we will realize that, just as in the RMI, agency is aged. Agency changes across the life course. Such an analysis not only affects the study of children’s agency but also challenges ideas about cultural reproduction and social change within anthropology as a whole. By now everybody knows that culture is constantly changing. We tend to assume, however, that such change is historical. These differences between child and adult agency in the Marshall Islands, however, reveal not historical change but rather social change across the life course. Unlike historical change, moreover, life course change is a necessary feature of cultural continuity. In other words, just as culture is gendered, culture is also aged. I suspect that my conclusions about agency could be applied to other issues such as race, gender, subjectivities, and religion. The only way to investigate the aged nature of culture is to closely examine the social construction, negotiation, and significance of age. 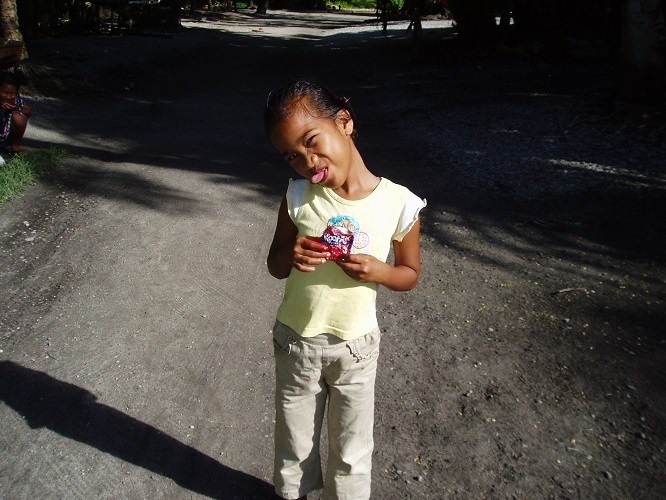 In Preparation Producing Age: Children, Deception, and Avoiding Giving in the Marshall islands. 2009 Children’s Strategies for Agency in Preschool. Children & Society 23:112-122. 1996 The Agency of Children, Work, and Social Change in the South Pare Mountains, Tanzania. Anthropology of Work Review 17(1-2):8-19. 1997 A New Paradigm for the Sociology of Childhood? Provenance, Promise and Problems. In Constructing and Reconstructing Childhood. A. James and A. Prout, eds. London: RoutledgeFalmer. 2006 Wayward Women: Sexuality and Agency in a New Guinea Society. Berkeley: University of California Press. Elise Berman is Assistant Professor of Anthropology at University of North Carolina Charlotte. 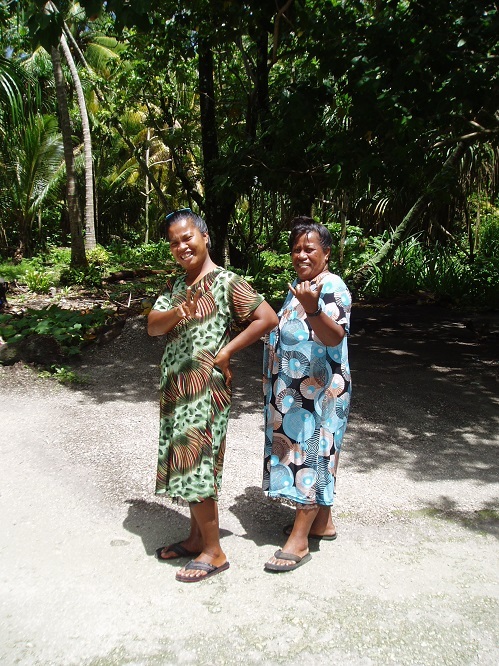 Her current research, based on sixteen months of fieldwork in the RMI, is an analysis of immaturity and the production of age differences, sharing, and communicative power. A complete list of published exchanges in the series is available here. Follow this link to the corresponding post on “Producing Difference” by AAGE member Jason Danely. “The only way to investigate the aged nature of culture is to closely examine the social construction, negotiation, and significance of age.” Agree 100%.